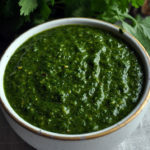 I’ve never been to Argentina, but from what I understand, chimichurri sauce plays an important role in their cuisine. Similar to America’s obsession with ketchup, Argentinians serve chimichurri sauce with a wide range of dishes. Which, makes me love them, because chimichurri sauce is incredible. One of the most traditional ways to eat chimichurri is spooned over grilled steak. But, I’ve dolloped it on chicken, salmon, and hamburgers. There are few savory foods that won’t benefit from the intense, bright flavors of this sauce. 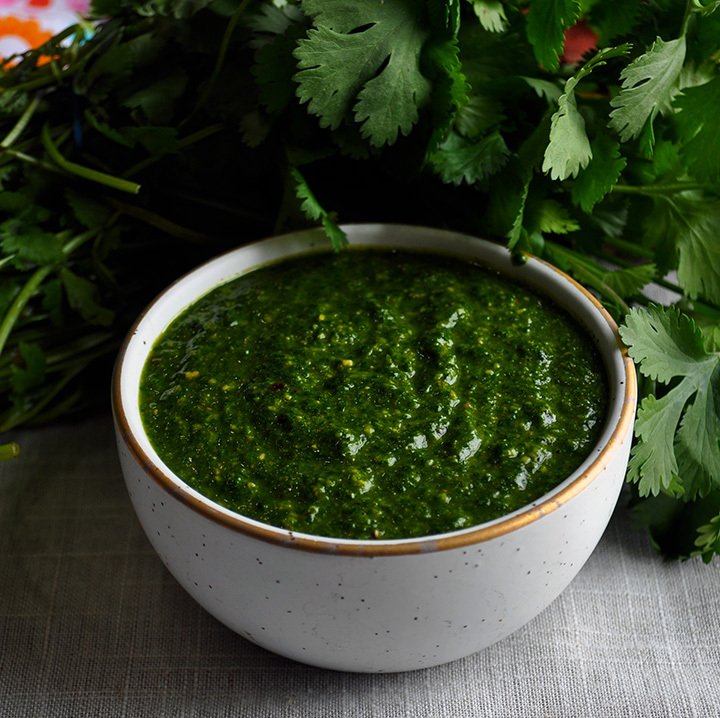 There are a lot of ways to make chimichurri and they are all right. This recipe is the result of years of experimenting with this delicious condiment and reflects my personal tastes. You should play around with the proportion of ingredients until you find the combination that’s “just right” for you. Add all ingredients plus 1/4 cup of the olive oil to a food processor fitted with the chopping blade. 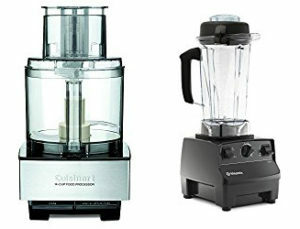 Blend until smooth, 1-2 minutes. Check the consistency and taste for seasoning. Add as much olive oil as you like to achieve the consistency you want. I love this sauce but it’s a little spicy for me so I cut the red pepper and cumin in half. Perfect for my taste. It is sooooooo yummy, learning that it’s easier to add spices than subtract!